“Is Traditional Marriage Toast?” That question recently caught my attention as the heading of an article in the neo-conservative Weekly Standard. The answer was either “very possibly” (a subhead attached to the piece) or “probably not” (an objective reading would suggest that). Take your pick. Be not afraid. Marriage and family life won’t vanish, given that they correspond to fundamental human interests and needs. But marriage and family are indeed in serious trouble in America. Many–most?–public policy solutions to this crisis are wrongheaded, to say the least. Repeatedly operative here is an unarticulated value system that concerned Americans have a right to insist be brought to light and debated. 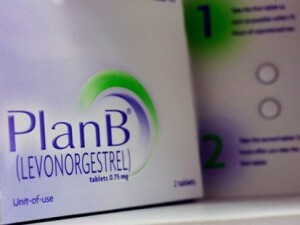 Take the current dispute over whether to give very young teenagers unrestricted access to morning-after pills. Partisans on both sides of this argument evidently take for granted (and some perhaps even welcome) a degree of social breakdown that their preferred policy approaches would not just confirm but make worse. After all, wouldn’t sensible policy-makers go after the root of the problem: teenage sexual activity? Foolish ones water the roots. Which, to change the metaphor, is like trying to fix a cracked teacup by banging on it with a hammer. In April, a federal district judge held that the government should allow children of any age to buy so-called emergency contraceptives without a prescription. The Obama administration has ordered the Justice Department to appeal this ruling on the grounds that the judge exceeded his competence. Meanwhile, the Food and Drug Administration has reacted by setting 15 as the earliest age for over-the-counter purchases. Obviously not. But let’s not end the discussion there. People who object to what’s going on aren’t merely objecting–they want something hugely positive in its place. Specifically, they want a broad-based restoration of responsible parenting in America, accompanied by government policies that support a determined national effort to rebuild the structures of marriage and family so foolishly undermined for decades. Government can’t do it alone, but it can help–and it also can refrain from making matters worse. What stands in the way of a remedial program? The difficulty of the task, for one thing, together with the likelihood that it would be expensive (though far less costly in the long run than allowing the present collapse to continue unimpeded). But above and beyond negatives like these, the greatest obstacle to sensible policy in these matters is the ethically bankrupt notion that remedies aren’t needed–it’s unavoidable, and perhaps not all that bad, that very young teenagers should be or become sexually active. In which case it also follows that they should have all the morning-after pills they want without being hassled about it. To put it mildly, a society that thinks this way has lost its moral bearings. That federal judges and government officials do so only magnifies an alarming state of affairs. Sometimes it’s hard not to wonder where America is headed. Other times it’s frighteningly clear.